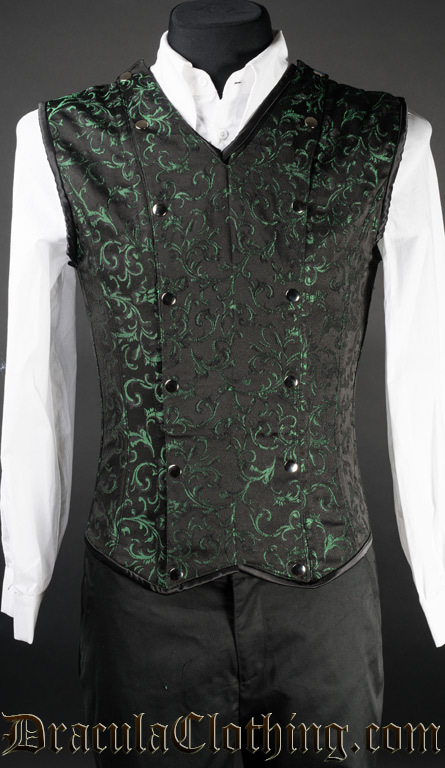 This v-shaper is incredibly stylish, and gives your outfit an instant victorian flair. Use it the way you would use a vest, and get a shaping effect at the same time! Looks incredible worn over a white shirt. 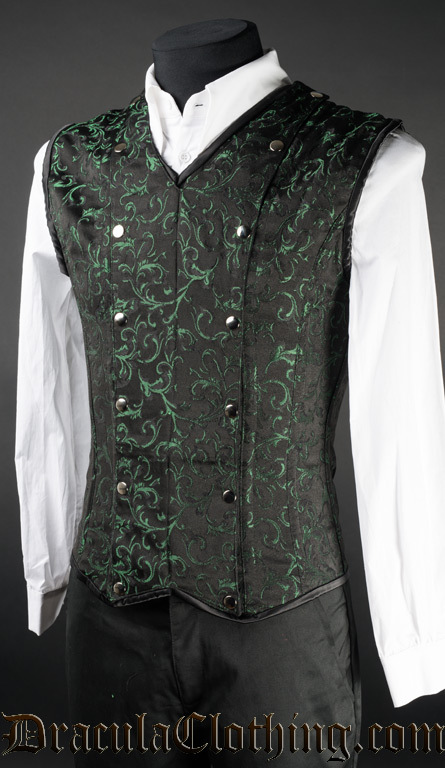 Get a great V-shape in this Corset Vest. It has metal boning and spiral metal boning, and you can cinch in between 1 and 3 inches. The V-shaper has a removable panel that hides the busk, and is made so you can use it with a shirt and tie. It looks amazing under a suit as well. To find your size subtract 1-3 inches from your natural waist.